LeBron James is the king of not-so-subtle messages and after the NBA Draft on Thursday, he had another one for the player taken No. 1 overall by the Philadelphia 76ers, Ben Simmons. 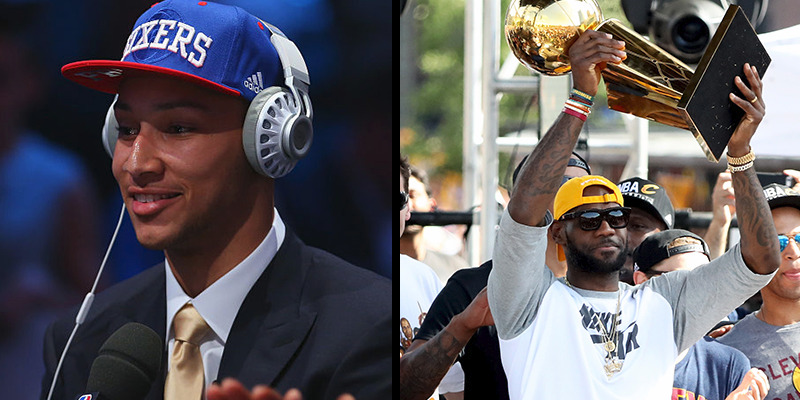 On Thursday, Simmons was a guest on “The Dan Patrick Show” when he was asked about the last time he had talked to LeBron James. According to Simmons, the pair Facetimed on Thursday night after the draft, during a party for Simmons with friends and family. During the conversation, Simmons told LeBron that couldn’t wait to face the NBA legend on the court, a bold proclamation for a player who is yet to play a single minute in the NBA. “I told him that I look forward to finally matching up against him,” Simmons said. Patrick laughed and asked Simmons how James responded to that. Apparently James had to remind the youngin’ just who he was talking to.